The establishment of the Nordic Association for Canadian Studies (NACS) in the 1980s coincided with a period during which the Canadian government engaged very actively in building an international Canadian Studies community. The young association received both moral and economic support from the Canadian state. Nevertheless, the first few years were an uphill struggle, convincing academic communities in Denmark, Sweden, Norway, Finland, and Iceland that Canada was worth studying in its own right. 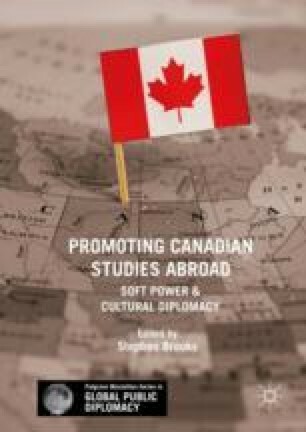 This chapter seeks to explore the crucial role that funding for Canadian cultural diplomacy played in fostering the Canadian Studies community in the Nordic region. This Canadian government support enabled fruitful co-operation between the five Nordic countries, with other Canadian Studies associations in Europe and beyond, and also offered new ways of reaching across the Atlantic for both Canadian and Nordic experts. The chapter also discusses the more recent uphill struggle that NACS has faced after Canadian funding was cancelled in 2012. While efforts to foster a new generation of Canadianists continue, the Association has observed diminishing opportunities for research on Canada both within the Nordic countries and globally as well as a decline in Canada’s visibility in the region. The Guardian. 2014. Simon Anholt Interview: “There Is Only One Global Superpower: Public Opinion”, November 30. www.theguardian.com/politics/2014/nov/30/simon-anholt-good-country-party-global-superpower-public-opinion.